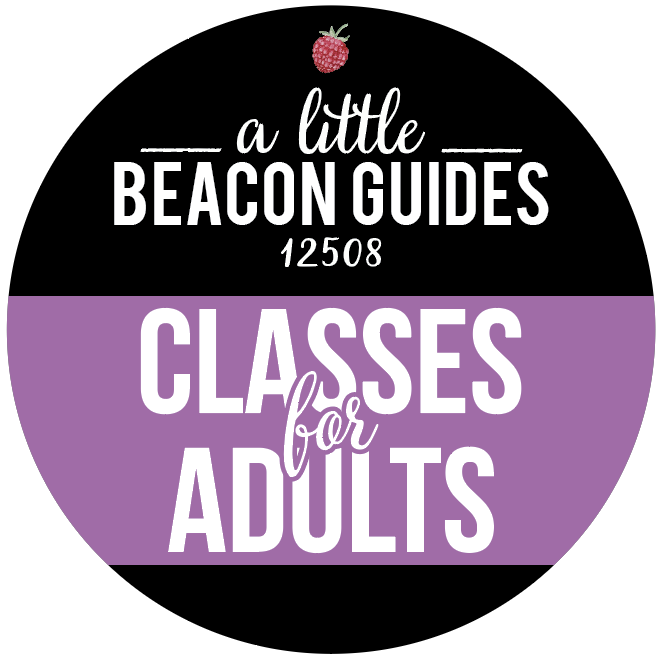 A Little Beacon Space is the private office of A Little Beacon Blog, an online news publication serving the community of Beacon and beyond, and Tin Shingle, a training platform and community for business, artists and makers who are getting the word out about their business. Our space is inspiring to work from, and designed to be a connection point with people. Located in the heart of downtown Beacon in a historically designated building, The Telephone Building, our sunlit space is a corner office with large windows on two walls, a bar, and tables to gather 'round. Available to up to 4 people renting the space for 2-4 hours only between the hours of 9am-5pm on weekdays only. Available to a group of up to 25 people for up to 4 hours any day of the week. Available to a group of up to 25 people for up to 10 hours any day of the week. Not available to Pop-Up Shops rentals. Available for up to 5 vendors in one day or weekend. This package gets a Pop-Up Shop on Friday, Saturday and Sunday to be used as they need it. Includes moving in and out, and Open and Closed hours to the public. Marketing of your pop-up shop is included with this package (that means we do a full blown article on your shop, and spaz out on Instagram about it). Pick your reservation package, and we’ll be in touch to coordinate everything with you!